Our core courses are divided into 5 different levels. 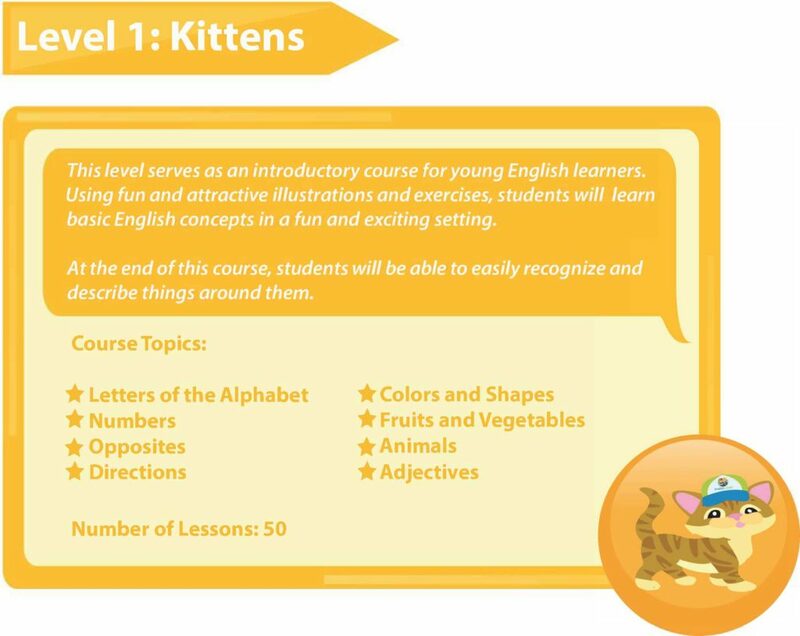 Each level will help students to build on many different language skills. Our focus is primarily on speaking and listening, which will help to build students’ confidence with the English language. Students learn through the simulation of real events they might encounter in their daily lives. We focus on encouraging students to speak English correctly with confidence. 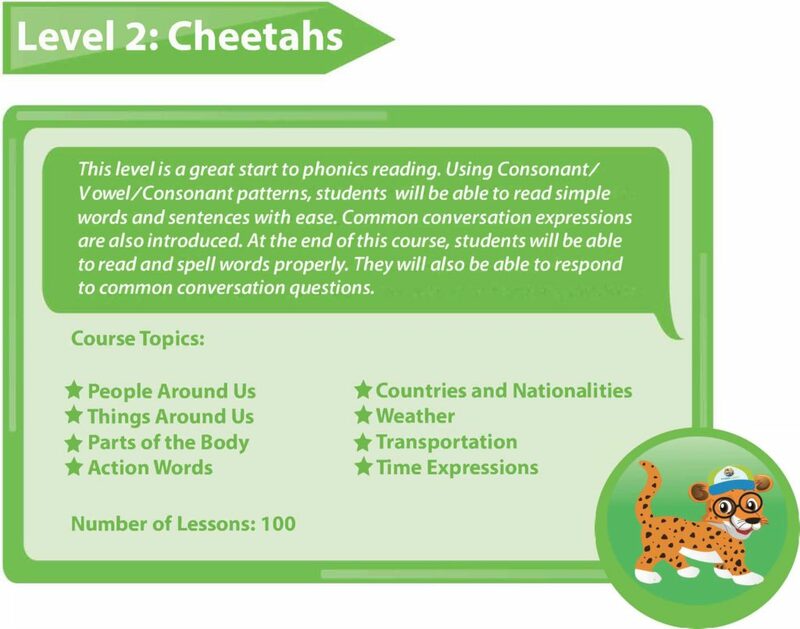 In addition we have the Leopards course, which is focused primarily on reading and conversation. 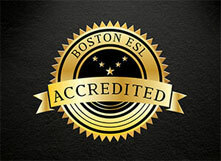 From the MAP test to TOEIC, hotel English training to how to sell using the English language, we have it all. Our curriculum developers are from the USA and the UK, and are here to make courses that are right for your business. Send us an email or give us a call if you’d like to see if English Gang is what you need. English Gang’s online English courses are suitable for students at any level and any age who want to confidently and correctly communicate in English. 1. These courses are available year-round and can begin at any point in time. Students can choose their own date, time and teacher! All they need is a stable Internet connection to access the lessons anywhere they’d like, 24 hours a day. 2. The frequency of study depends on each student’s schedule. 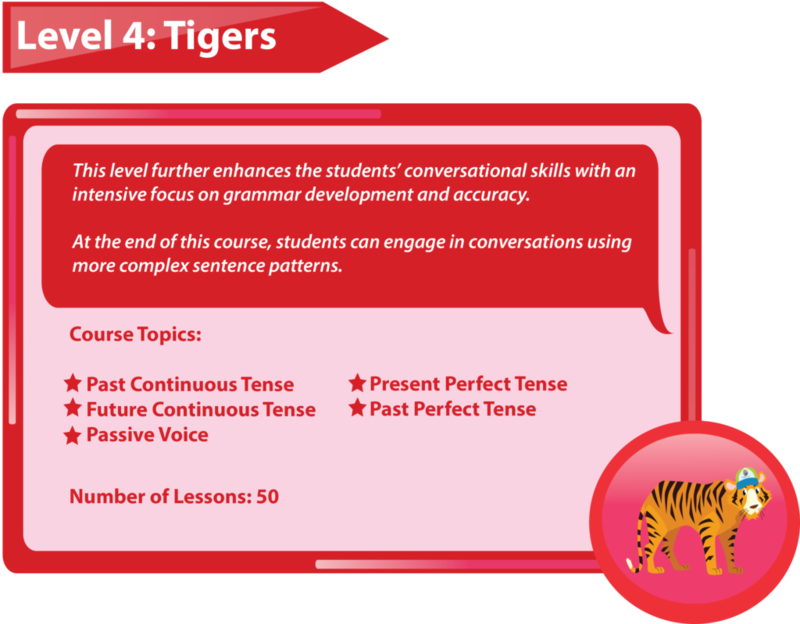 For the best results, however, English Gang recommends that students access the online lessons 2 – 3 times per week for 25 minutes each session. 3. Discipline and consistency are important in learning English. 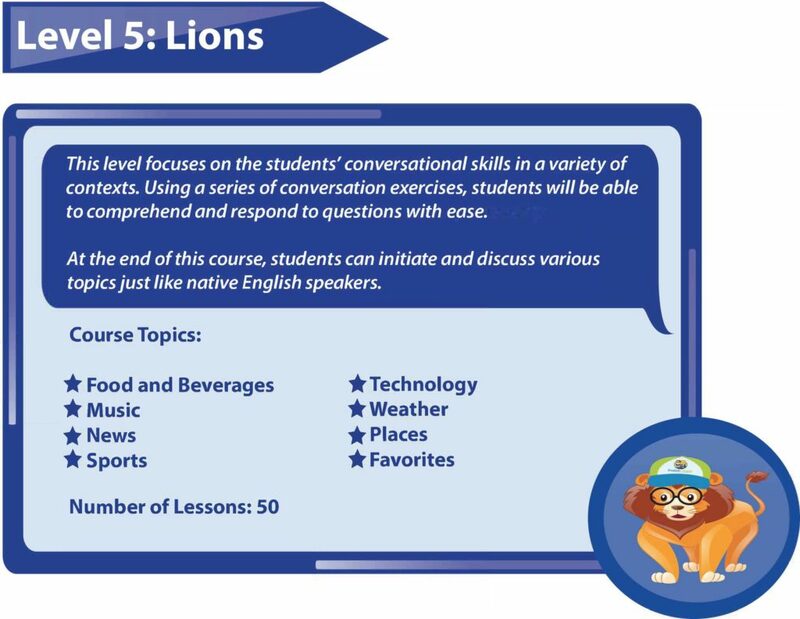 So, to raise the English communication skills across Thailand, English Gang recommends that students continue studying until they have completed the Lions course. 1. Learn how to confidently communicate in English at a level similar to native speakers. 2. How to not only focus on grammar, but to primarily focus on being confident communicators in English. 3. Total control and convenience when it comes to scheduling. No more fighting with traffic or wasting money on petrol! So what are you waiting for? Start learning with English Gang today!